WhatsApp -has rolled out a brand new set of emoji to some users. This is the first time the messaging app has designed its own. Until now, it had used Apple’s emoji on both Android and iOS versions of the app. 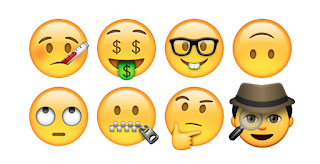 WhatsApp’s redesigned emoji have, however, clearly been inspired by Apple’s. On the whole, WhatsApp’s versions look slightly bolder and more cartoonish, but in most cases, the differences between them are minimal. The water pistol has turned from green to orange, for instance, and the new poo emoji looks slightly plumper than the old one. That can be seen as a positive, though, as users’ favourites will still be instantly recognisable . That said, WhatsApp has introduced a number of emoji that aren’t yet available on iOS, including vampires, elves and genies. The new WhatsApp emoji are currently only available on the beta version of the Android app, though they’re likely to come to more users in the near future.